We all know that preparing for a wedding day is not as easy as it looks like. Not to mention the venue, food and of course, the expenses. Anyhow, many of the married couples have successfully managed to survive the stresses and wedding jitters. Thankfully, a lot of those experiences have gathered several ideas and cool ways of preparing some of the wedding decor without huge expenses. 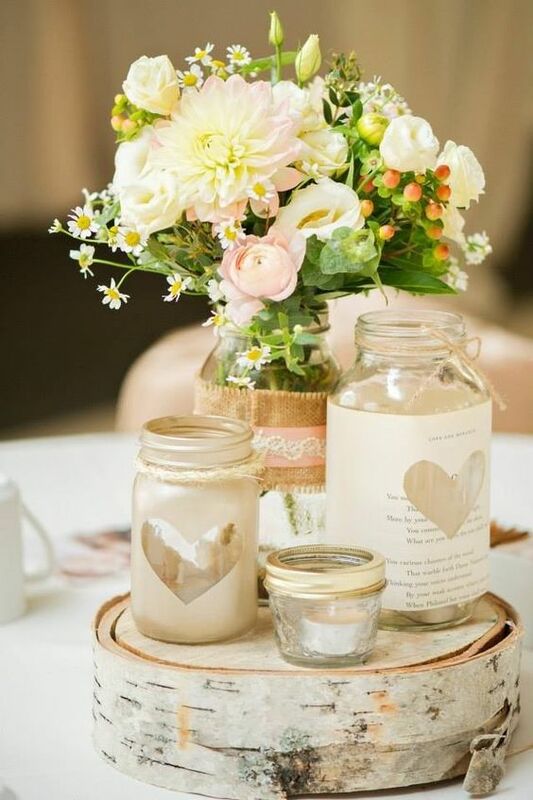 Today, handmade DIYs are trendy and well known for those finding cheaper yet presentable alternatives and one of these are the decorated wedding jars. 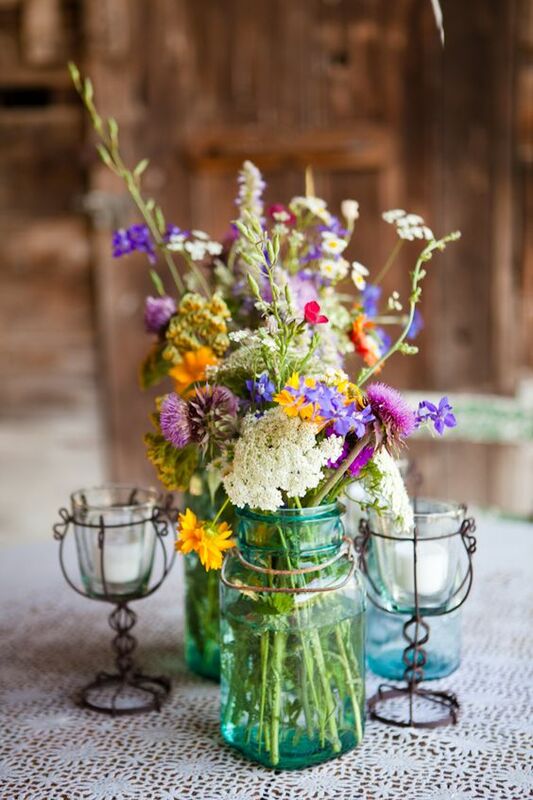 These are jars designed with colorful paints or accents added with any flowers of your choice. This somehow reminds everyone that wedding is not just a form of luxurious union because in fact, it is a celebration of love. So, before deciding to extend your big day’s budgetary requirements and crack up your credit card the next day, why not take a less expensive path. For this project, you will only need a few jars, glue, decorative papers or anything you think is useful. You only not save but you also help in recycling. For your reference, we have gathered 25 of the decorated wedding jars here. Have a happy browsing and we wish you a beautiful wedding day and a harmonious marriage. Enjoy! 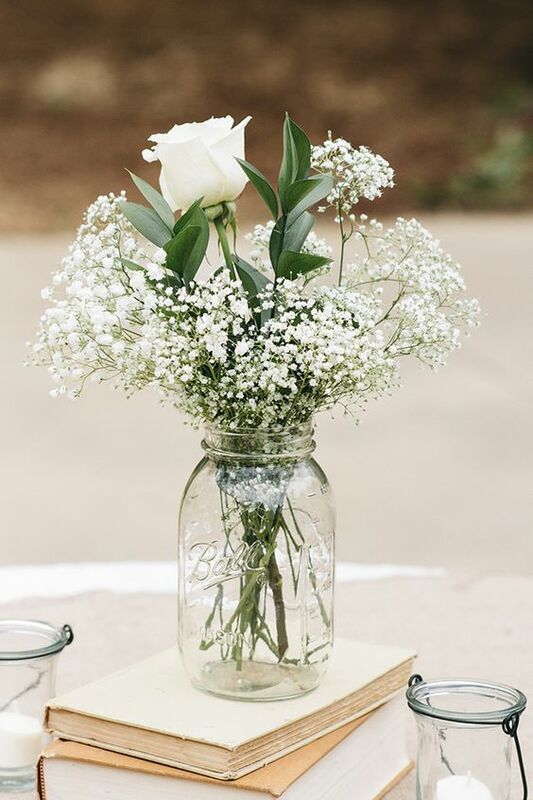 Isn’t it surprising that a plain looking mason jar is yet elegant and classy in its simple look? 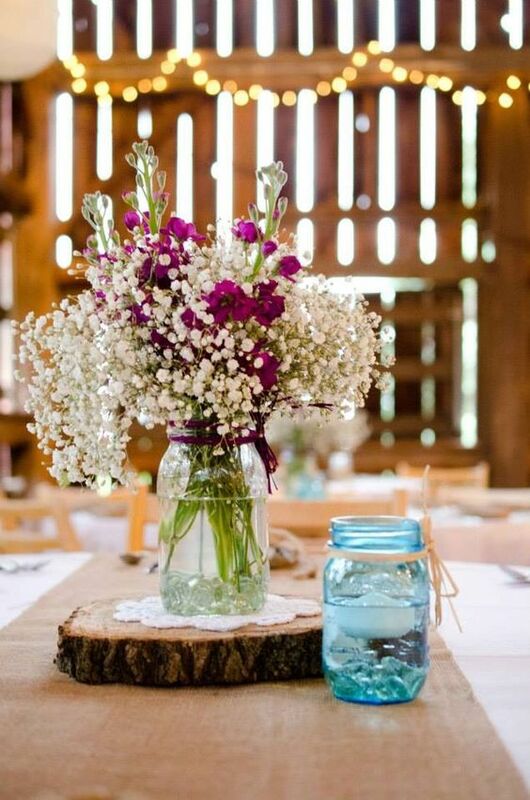 No other detail is added aside from the colorful blossoms and the rustic wires on the top. 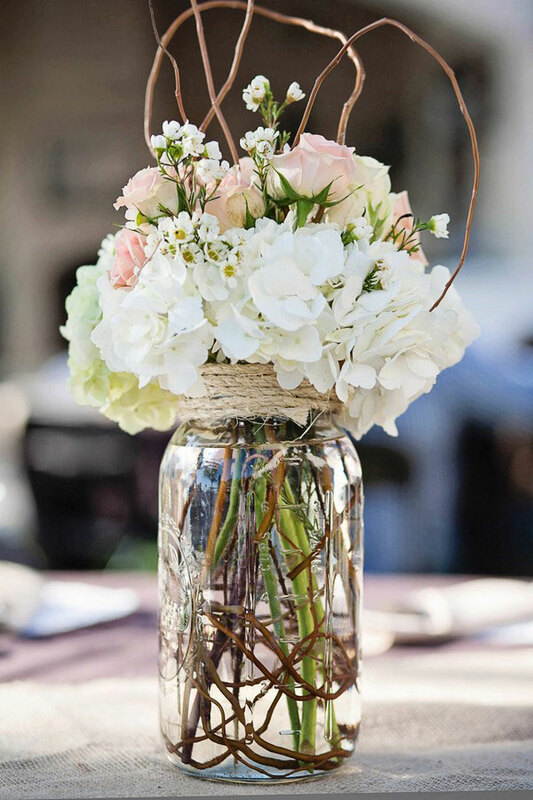 The intertwining roots and stems of the flowers look even more decorative in this clear jar. The design is no other than simple and natural, and it gets the full effect by being ornamented with a few refreshing white blossoms. 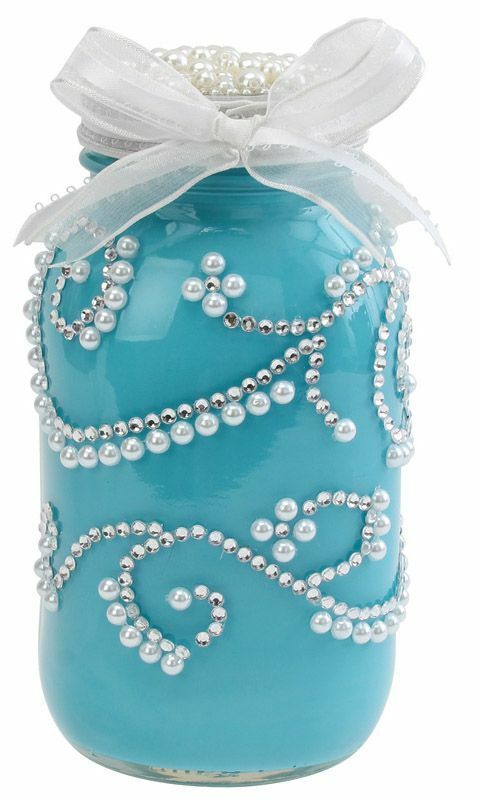 Shimmering fancy pearls are decorated around this blue jar. To achieve the glossy finish, the jar is painted from the inside. 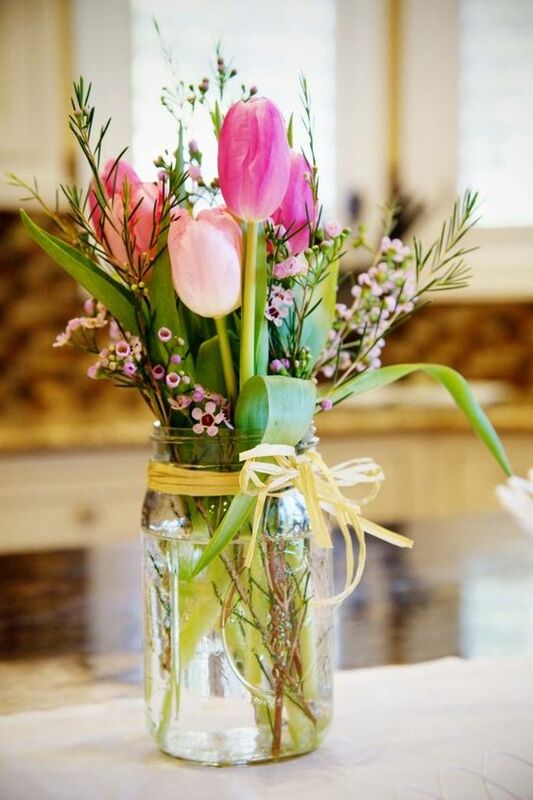 Instead of flowers, a ribbon is tied on the jar’s cover. 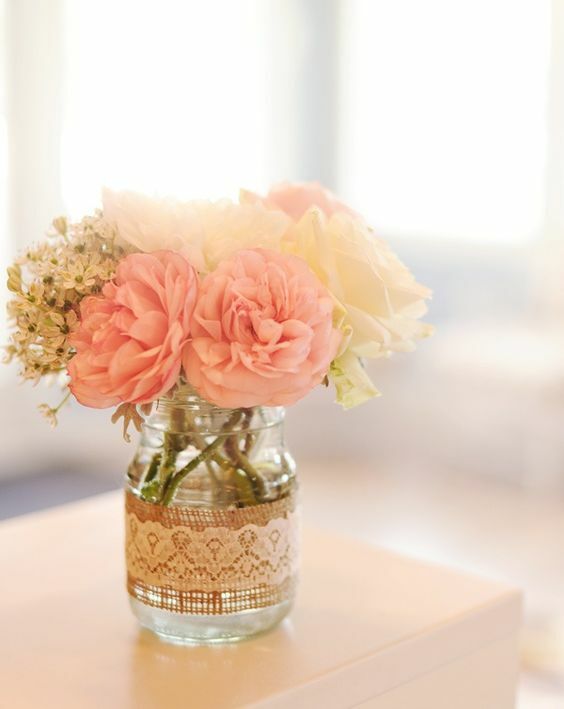 You simply don’t want to overdo the lacing, so you may only cover the middle portion of the jar with lace and burlap, and add a few thick peach blossoms. Burlap fabric is a known addition to any handmade decorations. You can simply cut it out and cover the jar. For a little twist, add any accessory just like this vintage looking key. All you need here is a plane clear jar and a bunch of thick colorful blossoms. 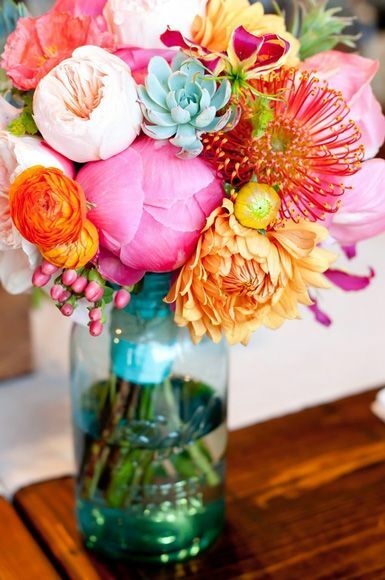 You can always add roses, chrysanthemum and any other flowers you love. 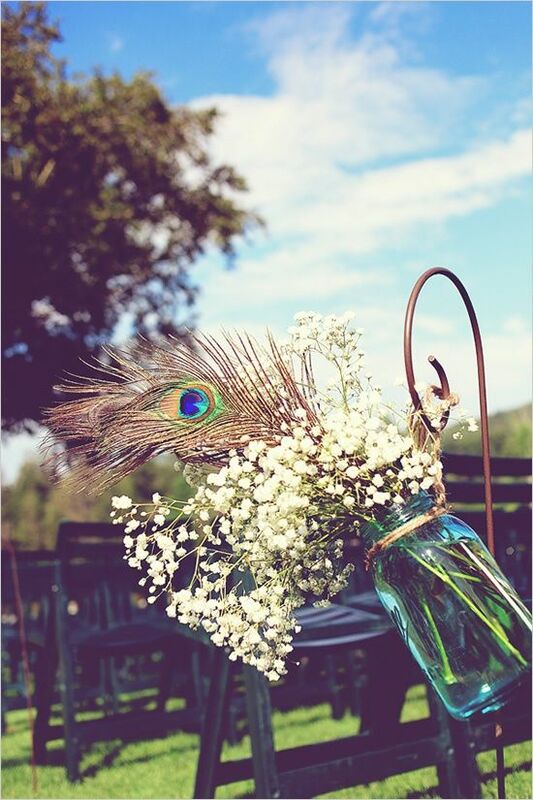 This hanging mason jar tied with a native rope, is designed with white baby’s breath blossoms and a few peacock feathers. The spot in the feather gives it a nice colorful effect. 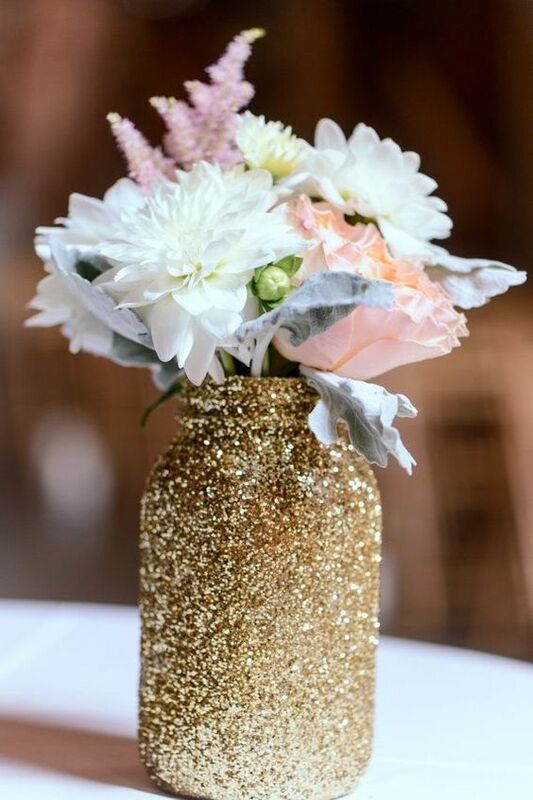 This gold dust mason jar sparkles with light and is quite matchy with white and peach blossoms. This can be achieved by carefully gluing and sprinkling the dust all over. These wood stumps are perhaps scattering somewhere in your backyard. They may not look decorative on their own, but when mounted with jars of colorful blossoms, they will surely look beautiful. If you want to stick with your color motif, you can always tie ribbons of your desired thickness. However, remember not to use ribbons that are too wide in order to keep the lace visible. 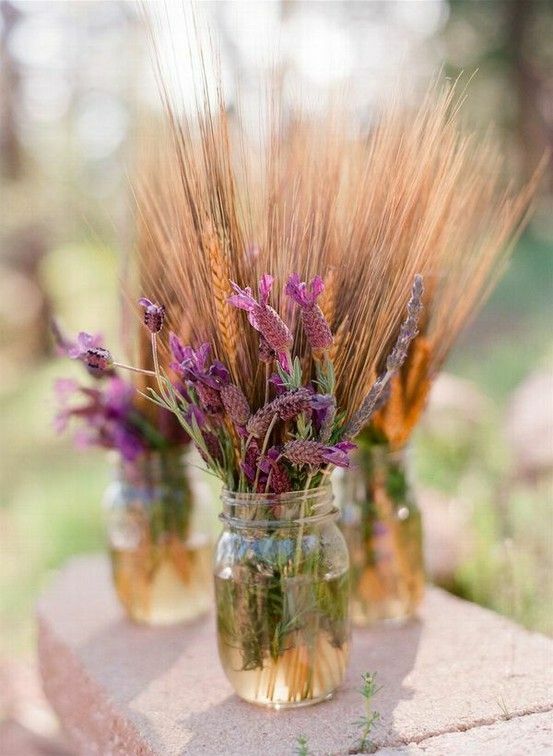 Who would have thought that wheat and lavender could go along beautifully together in a jar. The spikey effect of the wheat and the bold purple color of the lavender are striking. 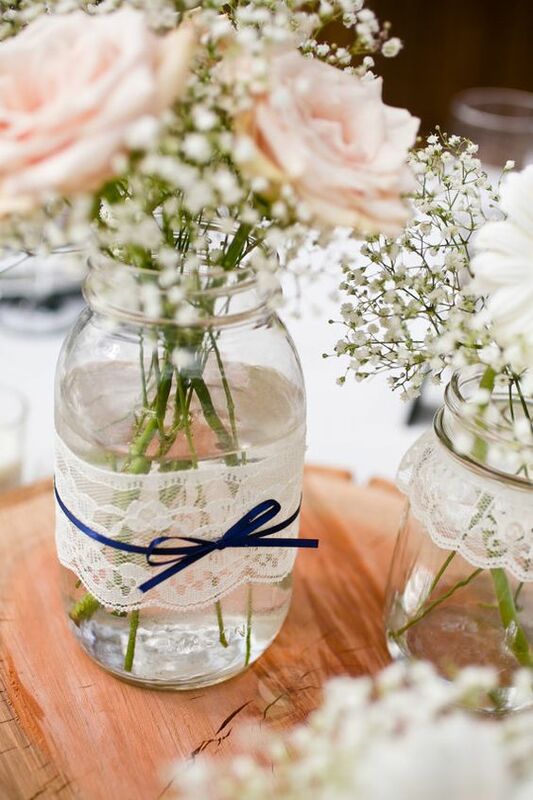 Jar and laces should remain simple as much as possible, so they won’t overpower the beauty of the flowers. You may also add a glass of candle for a little drama. 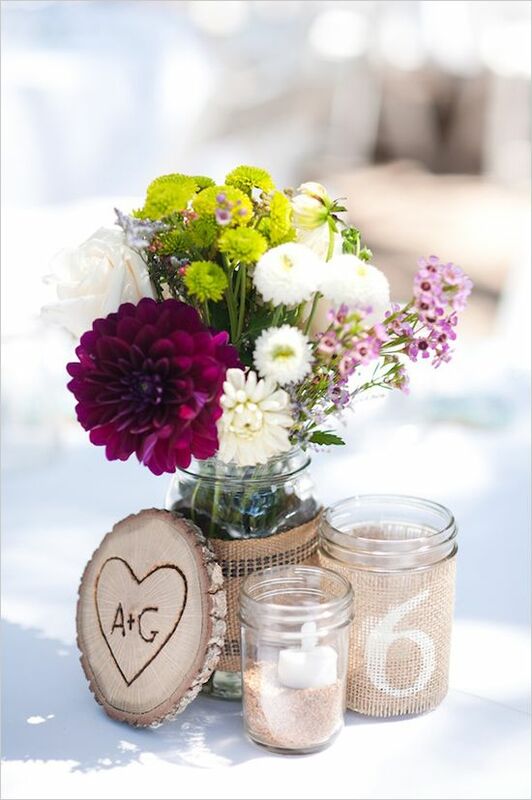 The candle on the sand, the wood with engraved heart and name abbreviations, the colorful mums and roses, the nice jars covered with burlap fabrics, what else can you ask for? 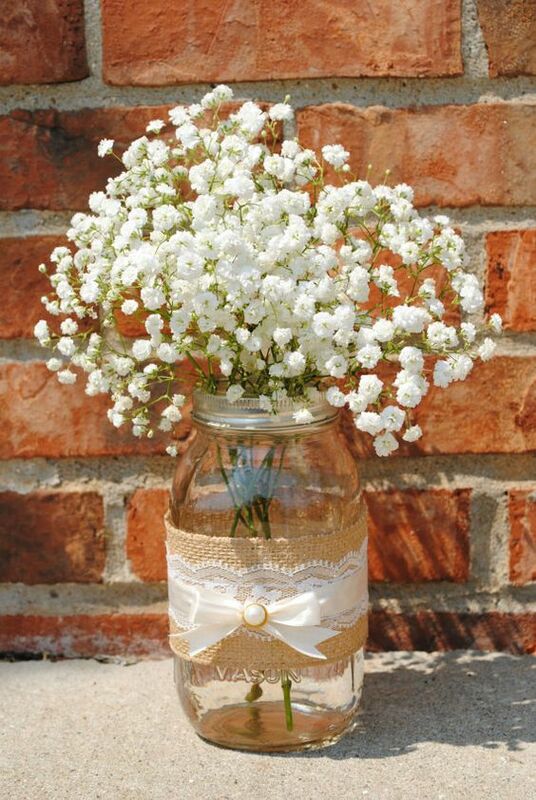 This group of jars are designed with heart, painted with gold, tied with native ropes, covered with burlap and lace, and highlighted with gorgeous blossoms. 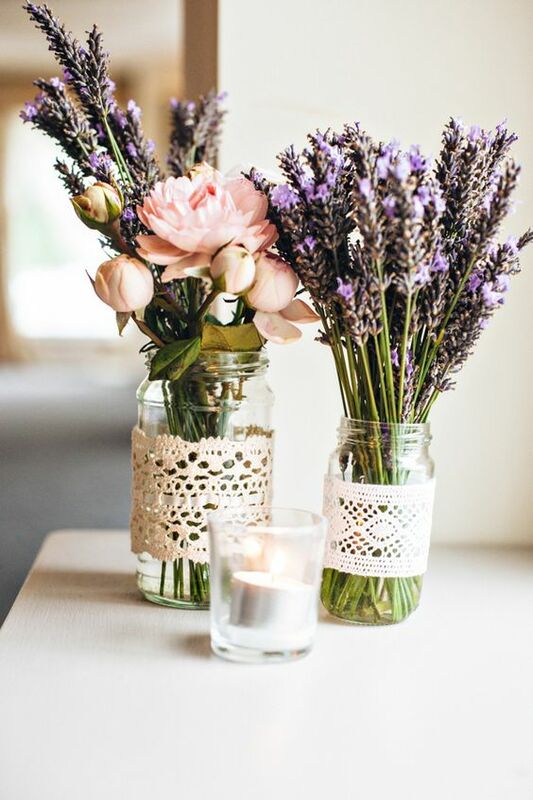 The smallest jar is used as a beautiful candle holder. As you can see these jars are transparent and bluish, and they also have a few crystals resting at the bottom combined with orange and purple ribbons. Not to mention the stunning white and purple blooms. The nice encircling white ribbon with a pearl centerpiece is quite an attraction to this jar. It has a total of three layers, which are the burlap, lace and ribbon. These jars seem to have it all. 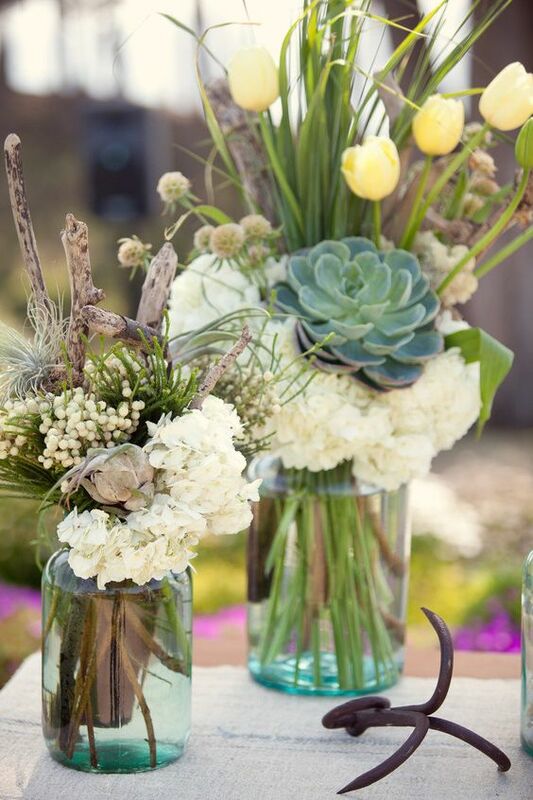 You can see branches, grass, flowers, and succulents in one jar. A rusty hook is also present and gives it a nice rustic effect. 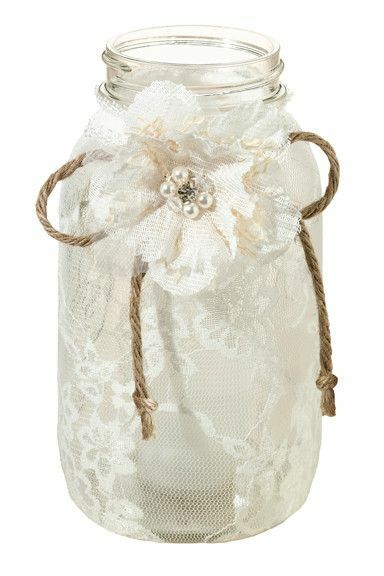 A nice white and see through lace is used to cover the entire portion of the jar except the mouth. A flower and native knot are also used for this DIY design. Unlike the other jars presented, this one has the boldest appearance because of the dark accents found on its surface. 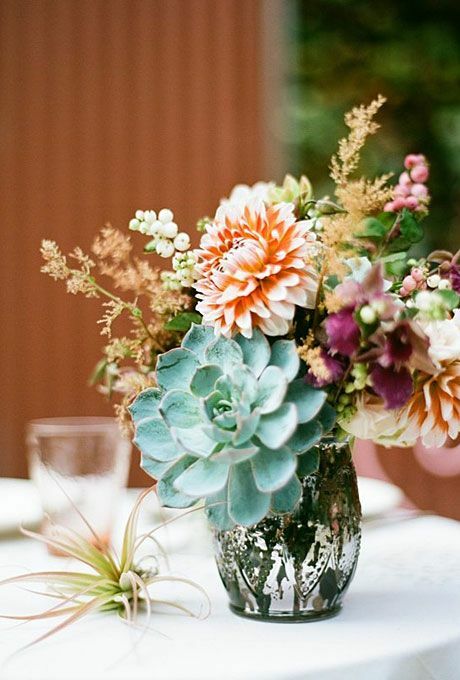 It matches with succulents and colorful flowers just like chrysanthemums. 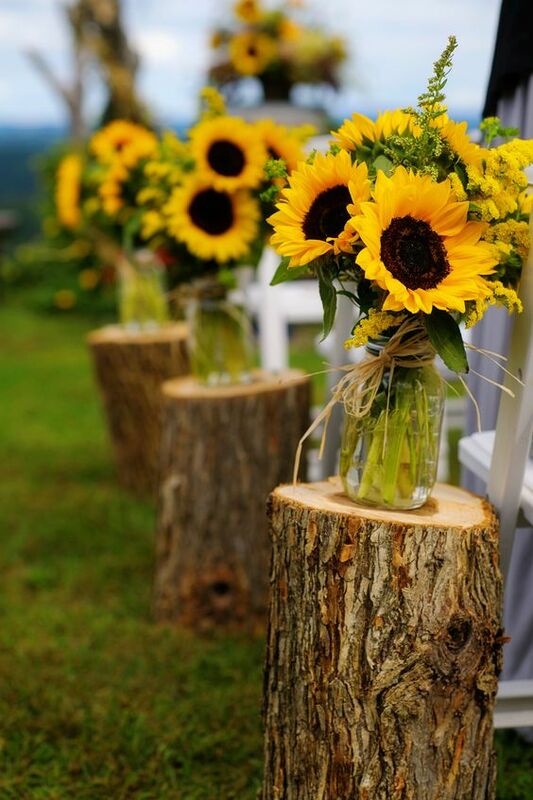 This combination is very natural with all the bright sunflowers on clear mason jars. The drama is made intense with the tree trunk pedestals and raffia ribbons. 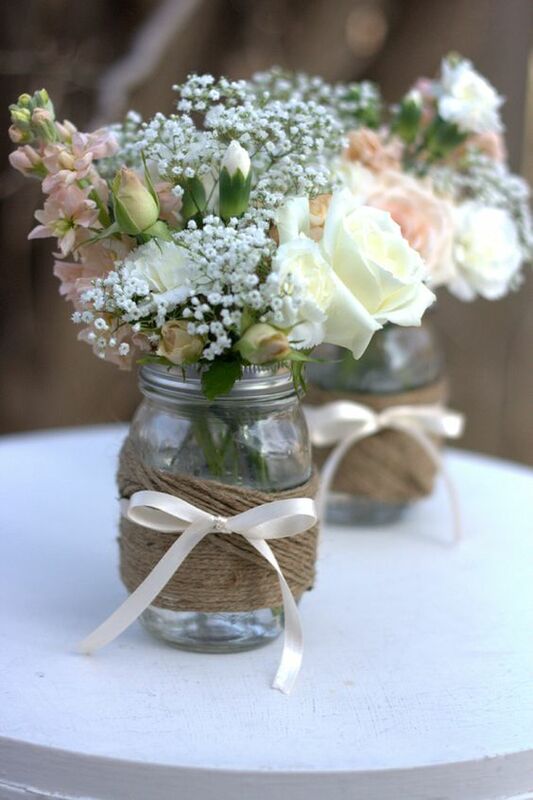 The twine wrapped around the clear jar is tightened with a thin white ribbon. 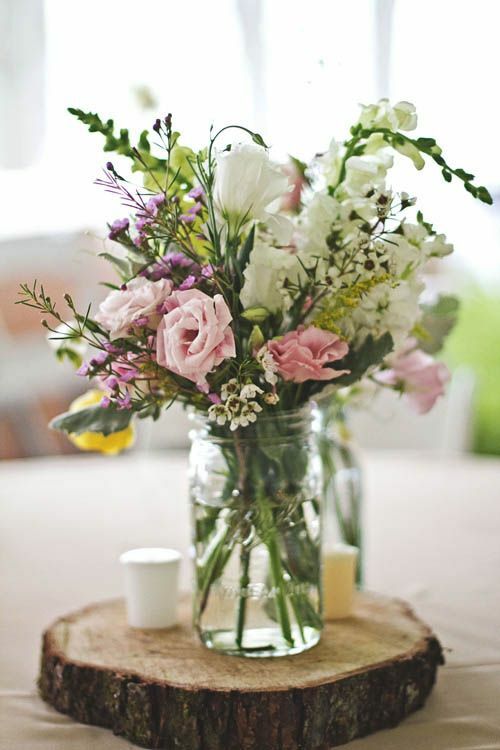 Everything is made visibly beautiful with the help of the blossoming buds of roses and baby’s breath. 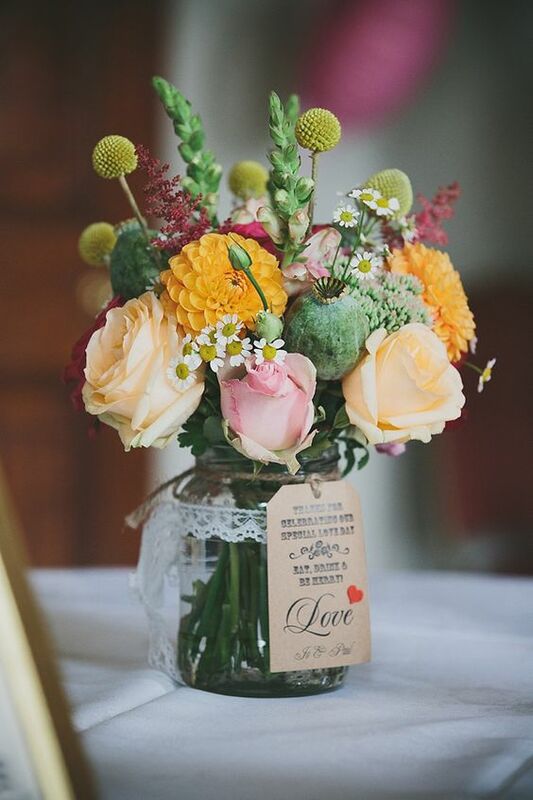 A small tag with love notes is attached to the jar of round blossoms. The fullness of rose and chrysanthemum blossoms, as well as the balls of craspedia are satisfying to see rising above the jar. 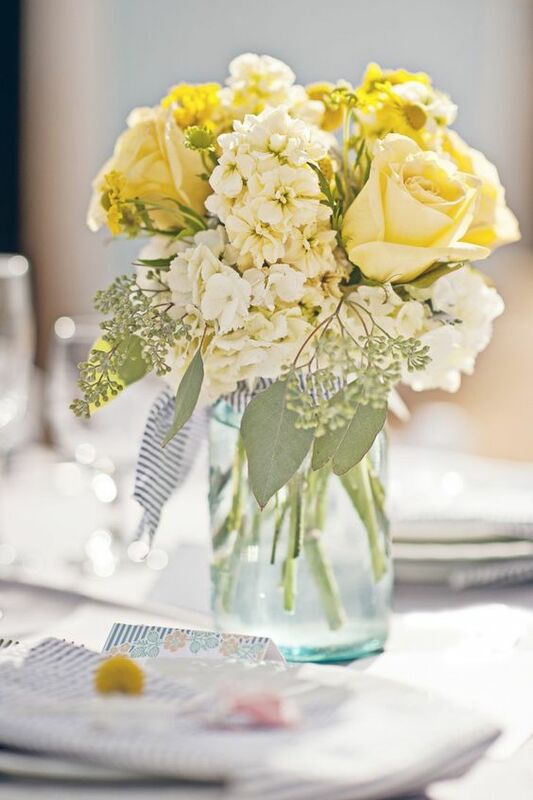 This jar simply loves yellow blossoms. Shades of yellow blossoms like roses and daisies are present. The opening of the jar is tied with a stripe blue and white ribbon. While you leave your books getting bored on their shelves why not let them enjoy your wedding day. You can use them as mats for your jars filled with white blossoms. 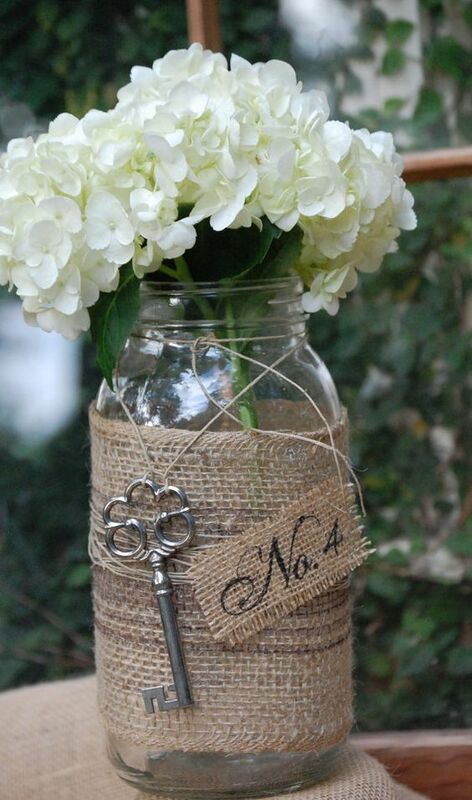 Simple raffia ribbon could give life to a plain looking jar like this one. You can just add a few blossoms of tulips and leaves to make it more decorative.